The country's domestic IT spending is estimated to grow 11.9 per cent to Rs 2,59,762 crore this year, on the back of digital spending by enterprises and the government, said a report by Coeus Age Consulting Thursday. "After an aberration in 2017 due to the disruption caused by the structural changes undertaken in the form of demonetisation and GST roll-out, the IT spend growth bounced back in 2018," Coeus Age Chief Executive Officer Kapil Dev Singh said. This is on the back of revival of the Indian economy, which is expected to continue in 2019, translating into a growth of 11.9 per cent in the information technology (IT) spend, he added. 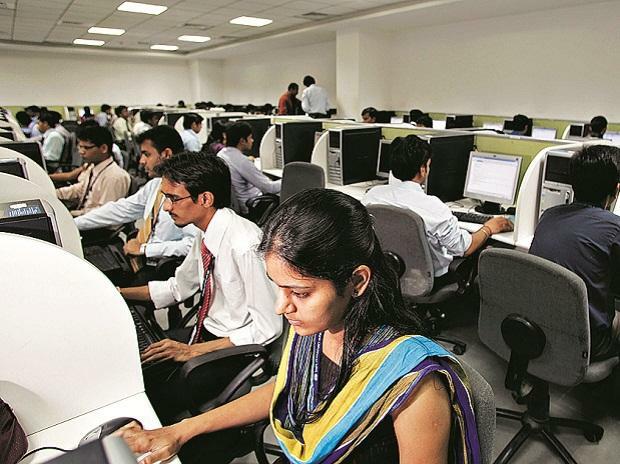 The report, which is based on inputs from 108 chief information officers/IT heads of large and medium-sized Indian enterprises, said the domestic IT spending grew 11.5 per cent in 2018, against a start-of-the-year prediction of 11.6 per cent. "...the growth is catalysed by enterprise and government spending on digital and consumer spending on smartphones and digital services. In 2018, digital spend by enterprise and government segments (put together) grew by 27.5 per cent over 2017, accounting for 25.2 per cent of their overall IT spend," the report added. The proportion of digital spend in overall IT spending is estimated to grow to almost 30 per cent in 2019, showing a growth of 29 per cent in digital spending over 2018. Spend on the commoditised traditional hardware and software products (PC, server, storage, networking, and in-premise enterprise software) is estimated to grow slightly below 4 per cent. Coeus said there is also an expressed interest by enterprises towards exploring the latest digital technologies such as artificial intelligence (68 per cent), big data analytics (60 per cent), machine learning (46 per cent), and internet of things (40 per cent). "We had predicted that the second wave of digital represented by the likes of AI, ML, RPA (robotic process automation) and IoT would gain traction in 2018 and shall become mainstream in 2019. That is becoming a reality as the interest of the enterprise and government customers is converting into 'on the ground' concrete projects," Singh said. This is evident in many industry verticals such as banking, financial services and insurance (BFSI), automobile, healthcare, infrastructure, utilities, oil and gas, he added.